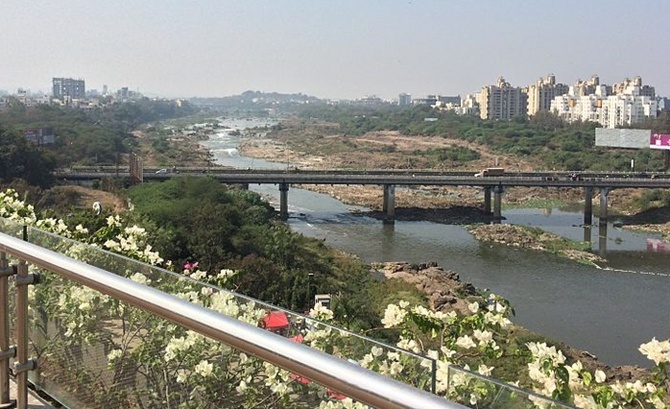 Pune, the city in Western Maharashtra is fast emerging as the hot-bed of start-ups. According to a study more than one-fifth of India’s product start-ups are from the city. Of this almost 21 per cent are product start-ups and 11 per cent of start-ups are under the Nasscom’s 10,000 programme. The study called ‘Think Pune’ has been brought out by IIM-Ahmedabad’s CiiE along with PuneTech, TiE Pune, SEAP, Nasscom and POCC, and claims that with more than 350 innovation centres in the city, Pune has more intellectual product (IP) driven product start-ups. Maneesh Bhandari, director Pune Operations-CiiE and IIM-A that Pune is uniquely placed due to its proximity to industries like the manufacturing and IT. The study also highlighted that Pune has a good mix of startups that focus on verticals like enterprise, infrastructure, biotech, clean-tech and many others. Sharad Sharma, angel investor and co-founder of iSpirt, the software product industry think tank, said that Pune start-ups have a huge potential and opportunity in creating business that target the pickaxe segment. “I want Pune to become the hub of building infrastructure applications. Primarily focusing on businesses that are pickaxes for other players,” he added. Sharma also added that everyone likes to talk about the Flipkart’s and Snapdeal’s but very few focus on pickaxes which have huge opportunity. “Pune has some great examples of successful start-ups. Druva, PubMatic among others are great examples of start-ups from this city,” he added. This is also evident from the type of start-ups that the city has. The survey found that almost 50 per cent of the start-ups are from the mobile, web or cloud segment. The city also boosts of much more mature entrepreneurs with over 80 per cent having prior corporate or start-up experience. This is also one of the reasons that most of the start-ups are already generating revenues. Almost 10 per cent of the eco-system has a revenue range of Rs 1 to Rs 3 crore (Rs 10-30 million). About 10 per cent have revenue of Rs 50 lakh to Rs 1 crore and 16 per cent have topline of Rs 25 lakh to Rs 50 lakh. About 57 per cent of the revenue coming from global customers. Sharma also said that one of the reasons for the city to not be as popular as Bangalore despite several successful start-ups from the city is concentrated efforts by industry players. “If you look at Hyderabad or Chennai, one or two people have led the efforts. Pune has taken a little longer to come on the stage,” he added.